‘Life is What You Make It’ was the second book of Preeti Shenoy followed by her first novel ‘34 Bubblegums and Candies‘. The book is based on the subject of love that has been set in India in the 90s. 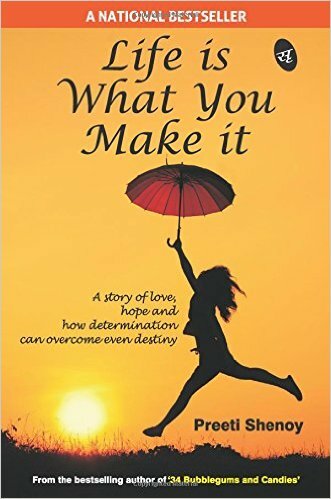 Life is What You make It by Preeti Shenoy is the story that somehow let the readers believe in the immense power of love & how it collectively combines with hope to win over the destiny. The Story of the book, Life Is What Make It by Preeti Shenoy, depicts the love life of a girl named Ankita who is in her 20s and has some issues in the past which makes her haunted every time. As she grows up from adolescence to a woman, Ankita had affairs with a couple of guys, but her parents always refused to accept her situation which made her violent in behavior and certainly she became the victim of Bipolar Disorder. ‘Life Is What You Make It’ revolves around Ankita’s struggles and it has been beautifully captured by Preeti Shenoy. The way Ankita decides to help her own self and battles these situations all by herself is the main attraction of the book ‘Life Is What You Make It’. 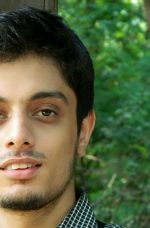 The title of the book Stiffly stands upon the meaning it reflects and the entire write up of ‘Life Is What You Make It’ by Preeti Shenoy is commendable. Preeti Shenoy has penned several books, but ‘Life Is What You Make It’ is counted among one of her best works so far. Preeti Shenoy is a woman with several talents from photography and yoga to sociology. India Today calls her ‘the only woman in the highest-selling league,’ alluding to the immense popularity of her books. In 2016, Preeti Shenoy published her latest book, It’s All in the Planets, which a bestseller too.